Weed! 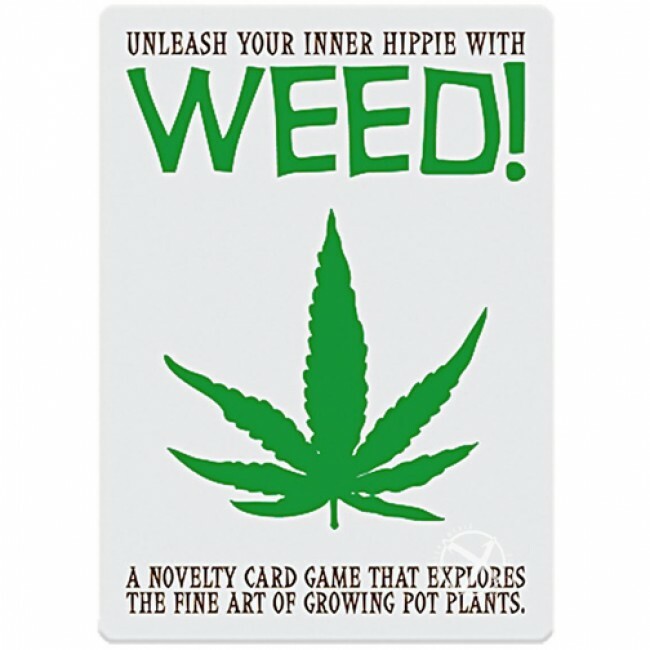 is an easy-to-learn strategy card game where you and other players compete to grow the most pot plants! As you try to maintain your own healthy stash, you also must try to prevent others from making healthy crops. Plant dandeloins, steal plants, or call the cops. Watch out for Potzilla who can destroy everything! Great fun!